The last days of summer are an ideal time to enjoy the outdoors with good friends and good food. 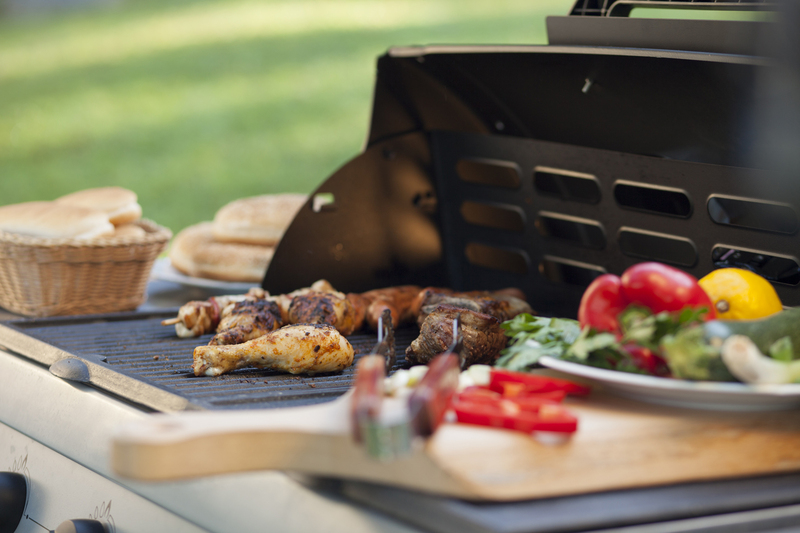 If a cookout or barbecue is on the agenda, be sure to keep safety in mind when serving your guests. The Centers for Disease Control and Prevention (CDC) estimates that 48 million people get sick each year in the United States due to foodborne illnesses. Many illnesses can be attributed to food preparation and storage. “When preparing food for your family and friends—whether for a regular meal or a special gathering—it is important to follow guidelines regarding food temperature and preparation in order to reduce the risk of illness,” said Keri Howell, chief clinical dietitian at Maury Regional Medical Center in Columbia. Always wash your hands with warm water and soap before and after handling any food. Thoroughly clean cutting boards, countertops and utensils. A solution of 1 tablespoon of liquid chlorine beach and 1 gallon of water can be used. Thaw foods in the refrigerator, not on the kitchen counter. Marinate food in the refrigerator and never baste food with a marinade that has been in contact with raw meat. Cook food to a safe internal temperature. The U.S. Department of Agriculture recommends cooking steaks, roasts and chops to an internal temperature of 145°, ground meats to an internal temperature of 160°, and poultry to an internal temperature of 165°. Use a meat thermometer to verify the temperature. Never char-grill meat at extremely high temperatures for long periods. Trim off excess fat and cover the grill surface with foil. When serving your meal, keep hot foods hot and cold foods cold. Use warming trays or chafing dishes to keep hot foods at the proper temperature. Place dishes of cold foods on a bed of ice.